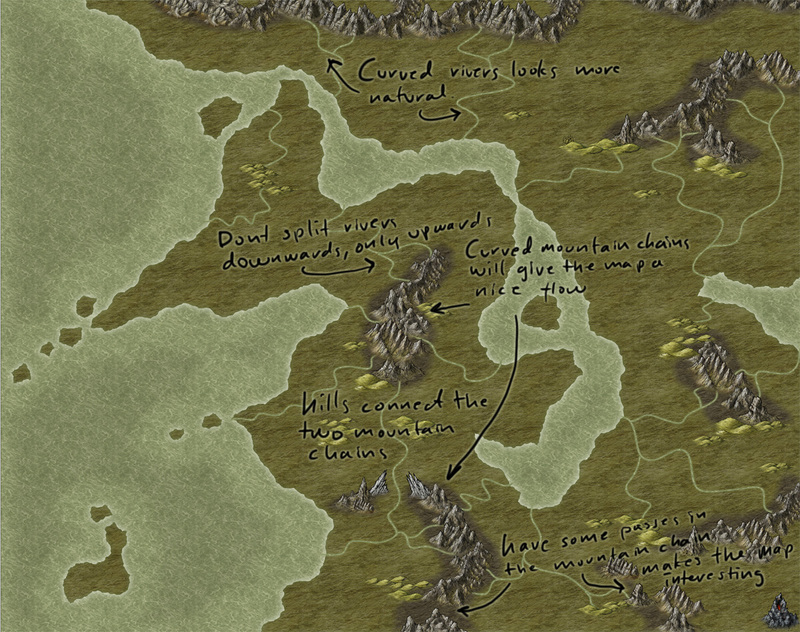 This is another old map made in Photoshop depicting an area of the Etrakien world that ceased to exist in the latest version of the map. In my earlier world map there was a chain of mountains that effectively created a barrier between the civilized world and the wild north. 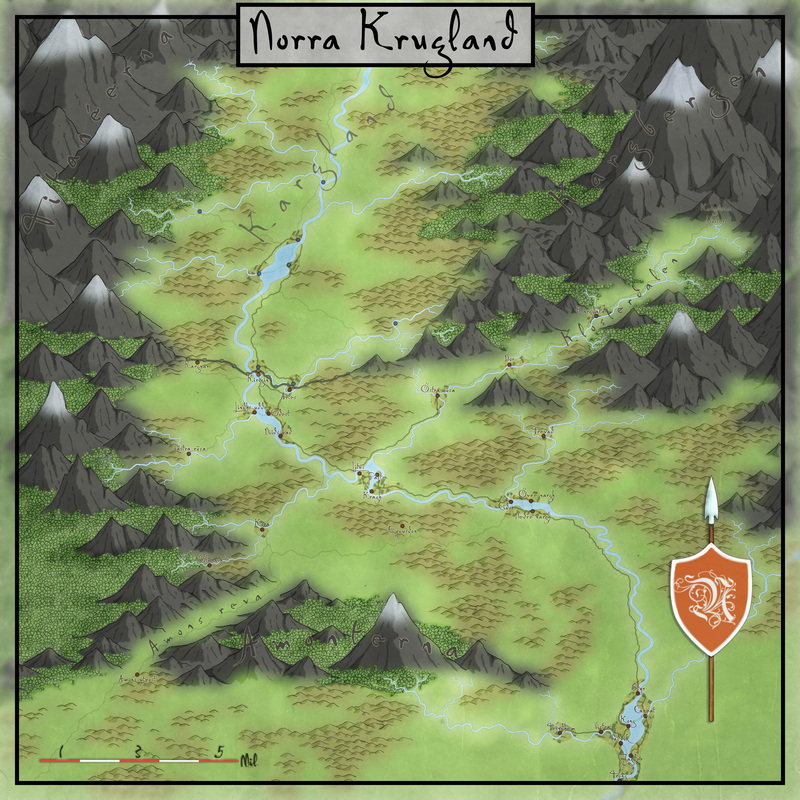 The only way for a traveler to easily pass the mountains was to use the valley in the northern part of Krugland. 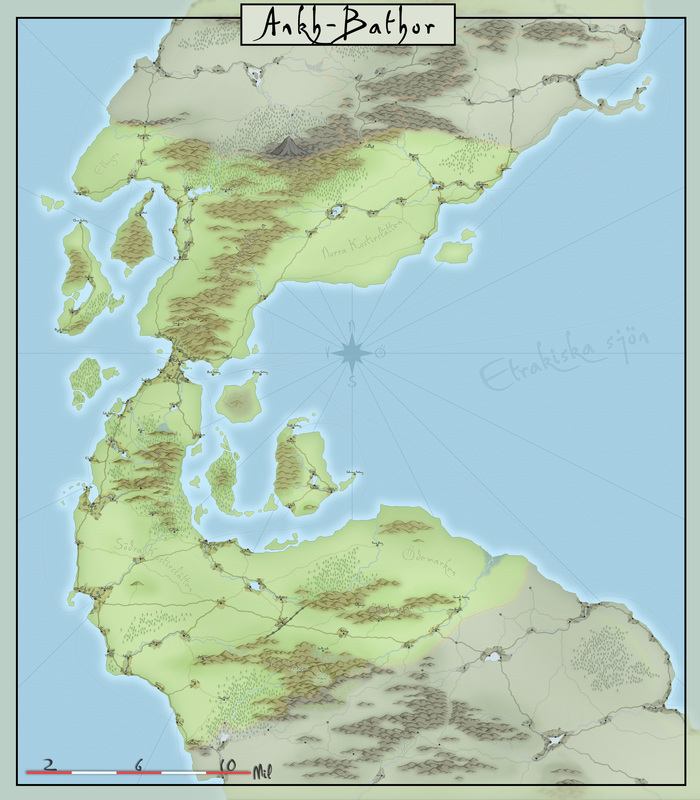 When I remade the Etrakien map the mountain chain disappeared because the story of the world needed an easier path for the barbarians to get to the civilized world. They kind of gave a helping hand to the demise of the two great empires that had struggled for a century. The reason for me to do the map was that I after having finished the Ankh-Bathor map wanted to do a map with mountains. You can say that the map was a way for me to try a new style for my mountains. And secondly the area was an interesting place to map, valleys are always exciting. As usual when you look back at old maps there are things that you are pleased with and things you would have done differently today. This map suffers a bit from the same problem as the one in the last post, too many details, or more specifically too much of the wrong thing. For example the hills in the valley are killing all the other details, they are too small in comparison with their surroundings. Getting objects in your map correspond with each other in a way that gives the map the right feeling isn’t always so easy. The only way to get better at it is to practice, and that means making more maps. Sometimes it also means remaking things that you might have struggled with for a long time, but in the end doesn’t look right. Don’t be afraid to challenge yourself, the worst thing that can happen is that you worked on something that you have to throw in the bin. But at least you’ve learned something from it.